The colony of East Florida was bordered by the Apalachicola River, the Gulf of Mexico, and the Atlantic Ocean. Its capital was St. Augustine. East Florida had good, fertile soil and was excellent for farming. In an attempt to bring settlers to East Florida, the British offered land grants to settlers who would come to farm and also defend the new British territory. The first governor of East Florida was James Grant. Grant did more to increase the population of East Florida than anyone else. He remained friends with the Seminole Indians and traded goods with them. Grant also encouraged settlers from North and South Carolina, Georgia, and other British colonies to come and start plantations, or large farms. Many British brought enslaved Africans with them to work on the plantations. The slaves cleared land, built homes, took care of farm animals, and planted and harvested crops. Many plantations were successful with various crops such as citrus fruit, sugar cane, rice, and cotton. Some plantations raised Indigo plants for making dark blue dye. West Florida consisted of the land between the Mississippi River and the Apalachicola River. It included parts of modern day Alabama, Mississippi, and Louisiana. Pensacola was the capital of West Florida. West Florida had thick pine trees and sand. It was not good for farming and did not grow in population as much as East Florida. To Britain, there were more than just 13 American colonies. The two Floridas had been originally Spanish, and Canada (areas of Quebec and Nova Scotia) had been originally French but Great Britain gained control of them following the end of the French and Indian War. However, it was the representatives from only thirteen British colonies that signed the Declaration of Independence and officially started the Revolutionary War. While West and East Florida were invited to send delegates to the still forming Continental Congress, both colonies declined the offer and remained loyal to Britain. 3 When the Revolutionary War started, for most in the southern colonies including Florida, the Revolutionary War wasn’t a war for independence but a Civil War against King and his Country. According to the National Park Service, East Florida was protected by the local militias which were made up of Loyalists who fled from Georgia and the Carolinas. There was a professional regiment of British regulars but they were ineffectual due to their small number mixed with the large territory they were assigned to protect. Even here much like most of the rest of the Revolutionary War the battles were mostly won by local militias and not the professional armies. 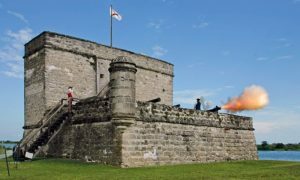 British troops garrisoned both the Castillo de San Marcos (which they called Fort Saint Mark) and Fort Matanzas. The city served as the home base for the East Florida Rangers and a launching point for several expeditions against Georgia patriots. American forces also launched several campaigns against St. Augustine, but none succeeded. There were, however, a number of battles and skirmishes in the northeast corner of Florida and southeast corner of Georgia as the two armies battled for control of the area between St. Augustine and Savannah. Because East Florida remained in British hands throughout the Revolutionary War, the city became an important destination for Loyalist refugees from throughout the thirteen northern colonies. The population of St. Augustine grew during this period and numerous new homes and other structures were built while many older Spanish buildings renovated. The canon of St. Augustine provided a formidable obstacle to any attack against the ancient city. As a result, it never fell. 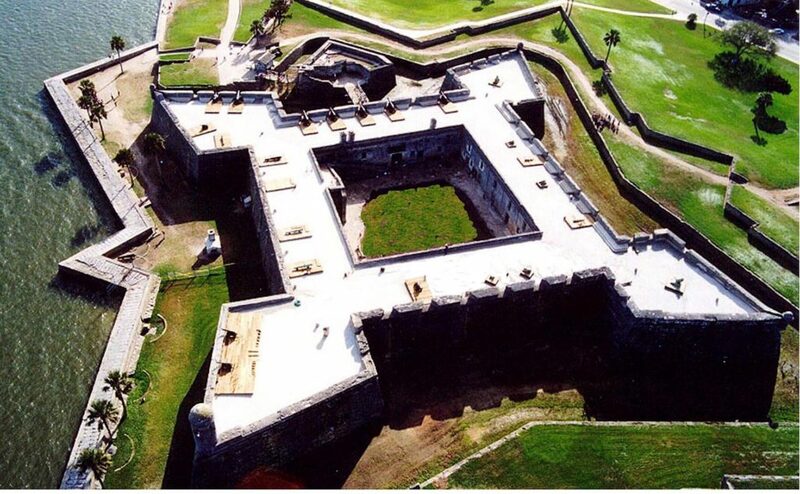 St. Augustine was also noted as a prison location during the war. Several signers of the Declaration of Independence fell into British hands during the war and were brought to St. Augustine as prisoners of war. These were Thomas Heyward Jr., Arthur Middleton, and Edward Rutledge. Josiah Smith, a merchant and patriot who also was imprisoned there, kept a 425 page detailed journal detailing this ordeal, a great source for scholars today. 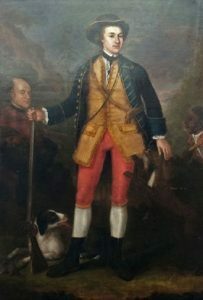 In 1774, Colonel Patrick Tonyn took over as the next Governor of East Florida and inherited what was still a backwater colony with a few scattered plantations in dire need of economic assistance. However, Tonyn was not able to focus on solving the economic woes of the colony. Instead he had to focus on the larger problems facing all of the British colonies along the east coast, the threat of war. Even before its outbreak, Tonyn faced such problems as the closing of the port of Charleston during the Stamp Act crisis. Without the needed supplies from the port, East Florida’s capitol almost ran out of foodstuffs. The East Florida Rangers (also called the King’s Rangers) were a band of loyalist militia raised by Thomas Brown in 1776. 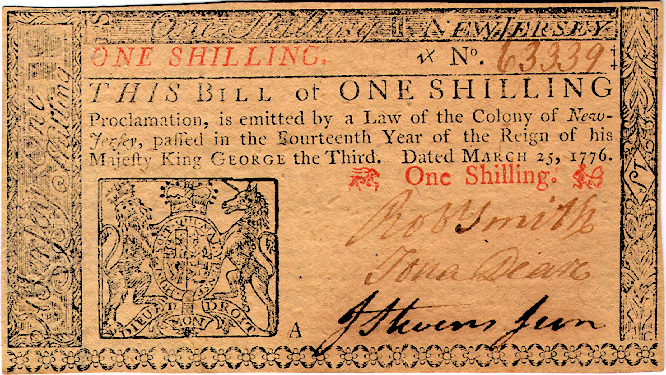 A Ranger was engaged to serve for 3 years receiving clothing, provisions and 1 Shilling a day! Brown was born in Whitby in Yorkshire and emigrated to America in 1774, when he was 25. He settled in Georgia and founded the community of Brownsboro. In August 1775 he was confronted by a crowd of patriots who wanted to know where his loyalties lay. When Brown told them that he refused to take up arms against Britain a brawl ensued and Brown suffered a fractured skull. Apparently he was then tied to a tree where he was “roasted by fire, scalped, tarred, and feathered” 4. To use modern terminology, this experience “radicalized” Brown and he set about mobilizing Georgia’s loyalists and the local Creek Indians. He was particularly successful in securing Creek support for the Crown and in 1779 he was appointed Superintendent of Creek and Cherokee Indians. In the meantime, however, he led a group of mounted loyalists which became known as the East Florida Rangers or Brown’s Rangers. The unit’s name references Florida rather than Brown’s home state of Georgia probably because the authorization for the unit’s formation came from Colonel Patrick Tonyn, the governor of East Florida. In 1779 the East Florida Rangers were later reformed as a regiment of infantry. The First Expedition by the Americans into East Florida left in August, 1776, shortly after word of the signing of the Declaration of Independence reached Georgia. Although eventually called off in October of that year, this expedition built a line of forts between Florida and Georgia including Fort Howe, Fort McIntosh and additional forts at Darien and Beard’s Bluff. Indians attacked a detachment of men while on the way to Beard’s Bluff. Then John Baker, Commander of the Georgia forces, was betrayed by two guards who stole the expedition’s horses and left the Americans unprotected in the swamps of south Georgia. One of these guards, Daniel McGirth, would later become “noted” for a notorious military career. There were numerous incursions and raids made by the American rebels into East Florida with these repelled by the East Florida Rangers and the British Army. The southernmost post in Georgia was Fort Howe (previously known as Fort Barrington), on the banks of the Altamaha River, and the northernmost Florida outpost was at Fort Tonyn, in present-day Nassau County, Florida. East Florida Governor Patrick Tonyn had under his command a regiment of rangers led by Lieutenant Colonel Thomas Brown, and several hundred British Army troops under the command of Major General Augustine Prevost. Tonyn and Prevost squabbled over control of the East Florida Rangers regiment, and disagreed on how the province should be defended against the recurring forays from Georgia. Prevost was under orders to stay on the defensive, while Tonyn sought a more vigorous defense. To that end Tonyn deployed the East Florida Rangers along the St. Mary’s River, which (then as now) formed the border. 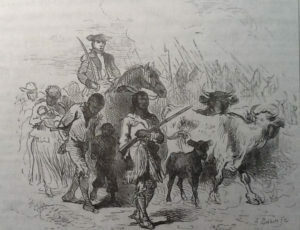 Brown and his men, sometimes with support from Creeks and Seminoles, engaged in regular raids into southern Georgia, harassing the defenders and raiding plantations for cattle to supply some of the province’s food needs. Following the Historical Florida’s Marker Program, the Battle of Thomas Creek 6took place in what is now the county of Nassau just south of the city of Callahan on U.S. 1 highway and Thomas Creek [map]. On May 17, 1777, Lt. Col. Samuel Elbert led a mix of troops from the Continental Army and Georgia militias on a mission to capture and occupy St. Augustine. They were stopped by Maj. J.M. Prevost of the British Regular Army and Col. Thomas Brown of the East Florida Rangers. These groups were aided by Indian allies. The American forces were thoroughly routed and fled in retreat due to a lack of supplies, morale, the oppressive heat and superior numbers of the enemy troops. Some Americans in their rush abandoned their horses and fled into the swamp. According to the National Park Service American losses were eight killed, nine wounded and thirty-one captured. Of the thirty-one captured fifteen were killed by Indians before the British were able to stop them. Only forty-two American soldiers escaped to the safety of Georgia. 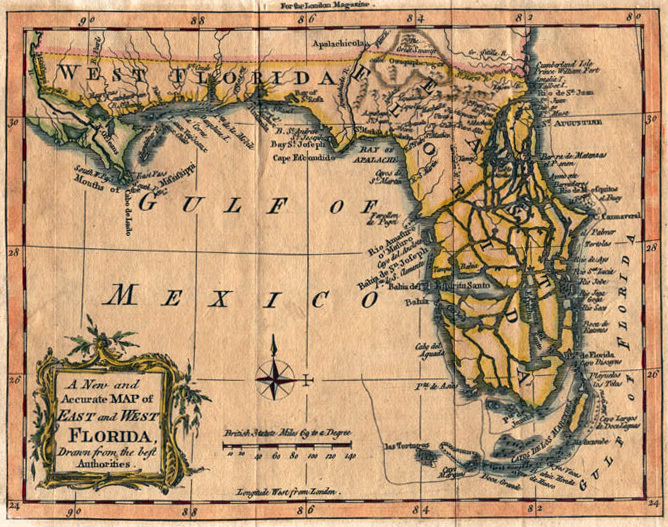 In February 1778 Georgia’s assembly authorized Governor John Houstoun to organize a third expedition against East Florida. He was opposed in this idea by the Continental Army’s Southern Department commander, General Robert Howe, who (like his counterpart Prevost) sought a more defensive posture. Plans for began to take shape in March, taking on some urgency after East Florida Rangers captured and burned Fort Howe in a surprise attack. After this event the Loyalists ranged freely throughout Georgia’s backcountry, and began recruiting in the upcountry of Georgia and the Carolinas. These actions led Georgia’s leadership to conclude that a British invasion of the state was being planned, and military preparations began to accelerate. In addition to land forces, both sides had coastal naval forces to marshal. Governor Tonyn deployed several ships in the Frederica River, separating Saint Simons Island from the mainland, seeking to neutralize several row galleys in the Georgia arsenal. On April 15 Colonel Samuel Elbert decided to launch an attack against three of them that were anchored near Fort Frederica. In a naval action on April 19, Elbert and the row galleys came upon the becalmed ships, and captured or destroyed four of them. General Howe reluctantly agreed to support the expedition, and in early April, Georgia’s 400 Continental troops began to move south, occupying the site of Fort Howe on April 14. Over the next month this force grew as Georgia militia and South Carolina Continental arrived, swelling the force to some 1,300 men by early May. General Howe arrived at Fort Howe on May 10, and began organizing the march south. The conditions in the camp were unpleasant: the weather was hot, and there were frequent desertions (leading to at least 11 executions). The expedition force finally began crossing the Altamaha on May 28, but moved very slowly, crossing the Satilla on June 21 and reaching the St. Marys River on June 26. Governor Tonyn and General Prevost were aware of the American progress. Brown and Indian forces continued to perform reconnaissance, occasionally skirmishing with the Americans and testing the security of their camps. General Prevost moved some of his troops forward, placing most of them on the main route to St. Augustine. At this point the expedition almost broke down because General Howe and Governor Houstoun could not agree on how to proceed. Houstoun wanted to march directly toward St. Augustine, forcing a confrontation with the main British force, while Howe wanted to first capture Fort Tonyn. With the two leaders at an impasse, Howe ordered forces he commanded toward Fort Tonyn, while the Georgia militia under Houstoun’s command stayed put. Brown, alerted to this movement, abandoned and burned the fort, retreating into the swamps toward the Nassau River. Howe occupied the ruins of Fort Tonyn on June 29. The way south from the fort led to a bridge across Alligator Creek, a Nassau River tributary about 14 miles (23 km) away, at which Prevost had placed detachments of the 16th and 60th Regiments and some Loyalist rangers led by Daniel McGirth. They had constructed a redoubt of logs and brush to defend the bridge. These forces, numbering about 200, were under the command of General Prevost’s younger brother, Major James Marcus Prevost. On June 30 Howe sent a force of 100 cavalry under James Screven south to locate Brown. Brown ordered a company of men to circle around behind them while the rest of his men hid along the road heading south from the fort. The men Brown sent to flank the Continentals were betrayed by deserters and ambushed, with most of them captured or killed. Brown began moving down the road toward the Alligator Bridge, but was overtaken by Screven’s company shortly before he got there. As a result, Brown’s men were chased directly into the established British position at the bridge. There was some initial confusion, because neither Screven’s nor Brown’s forces had regular uniforms, so the British regulars thought all of those arriving were Brown’s men. This changed quickly however, and a firefight broke out. Prevost’s regulars quickly took up positions and began firing on Screven’s men, while some of Brown’s men went around to come at their flank. In pitched battle, men on both sides went down, Screven was wounded, and some of the Patriot militia narrowly escaped being trapped before Screven ordered the retreat. The next day Major Prevost moved out with his, Brown’s and McGirth’s men, and surprised a Patriot crew repairing a bridge. Rather than extending themselves, the Patriots decided to retreat, felling trees across the road as they went. The divisions in the American camps, however, meant that there would be no further advance. The Continental forces were out of rice, and appealed to the Georgia militia for supplies. The militia finally crossed the Saint Marys on July 6, adding some strength to the Continental force, which had been reduced by disease and desertion to only 400 effective soldiers. The shortage of food and the ongoing command disagreements spelled the end of the expedition, which began its retreat on July 14. This effectively ended the idea in Georgia of gaining control of East Florida. James Screven was killed in a surprise attack led by Thomas Brown in November 1778. The site of the bridge has long been supposed to be in central Callahan, where a marker has been placed, but some historians believe that the actual site of the bridge was somewhat farther east. In 1781, a joint Spanish-French force captured Pensacola from the British and brought West Florida back under Spanish rule. 8 However, St Augustine remained firmly within British hands. East Florida was ceded to Spain in the peace treaty that ended the Revolutionary War in 1783. Most of the loyalists left the country of America, heading back either to Britain or the West Indies.